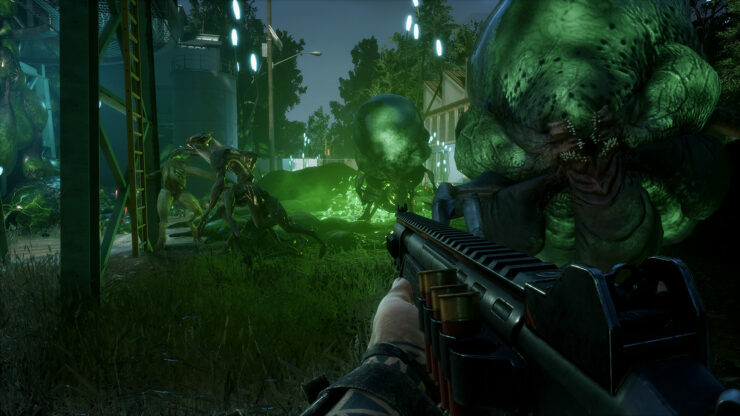 Earthfall, the cooperative first-person shooter where you have to fend off an alien invasion, is coming out on July 13th for PC, PlayStation 4 and Xbox One. As part of a larger interview, we inquired with developer Holospark regarding the specifications of how Earthfall runs on PlayStation 4 Pro and Xbox One X. You can find them in the quote below. Resolution on both PlayStation 4 Pro and Xbox One X is 4K. HDR support will be available on PS4 Pro at launch and will be coming to Xbox One S and X through a post-launch update. PC players interested in the minimum and recommended requirements can find them below. Look forward to the full interview to be published tomorrow.